Miscellaneous hardware. Recovery and mounting hardware, rivets and shear pins. Ball bearing swivel is often used to prevent parachute lines from twisting. 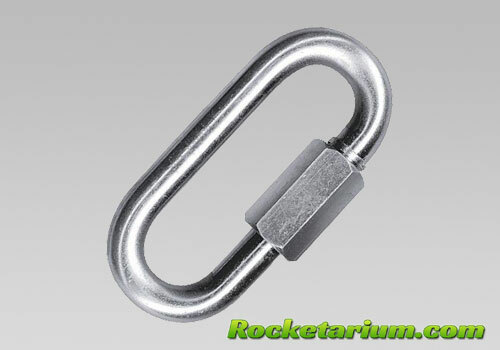 The swivel is often used together with the quick link. 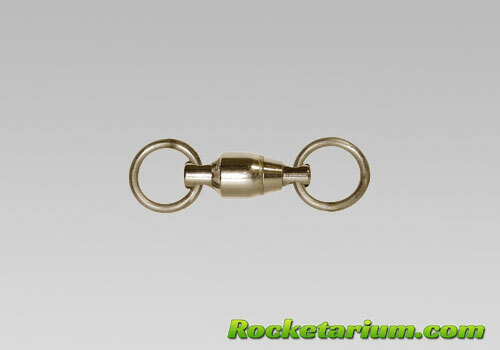 This swivel is designed for rocket weight of up to 10 lb and is 1 1/8" long. Weight 3g. 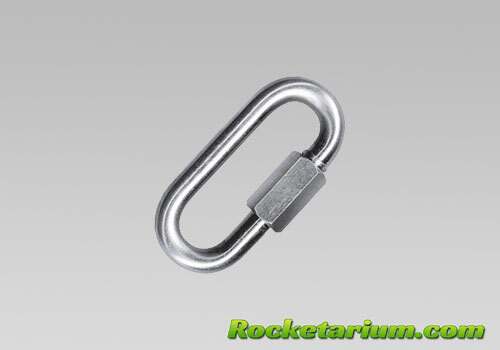 This high-quality Ball bearing swivel is used to prevent parachute lines from twisting. 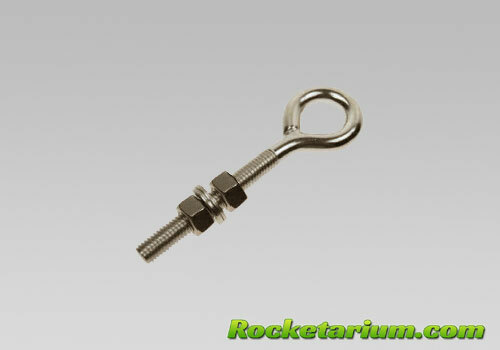 The swivel is often used together with the quick link and is designed for rocket weight of up to 15 lb and is 1 3/8" long. Weight 6g. 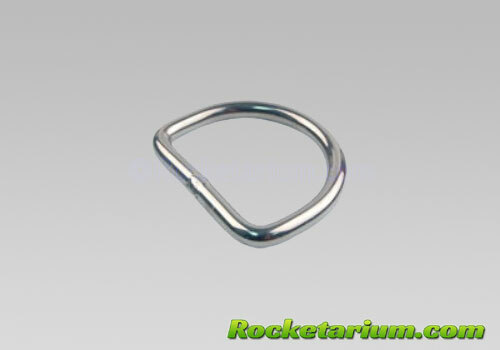 Welded D-Ring, 1/8 x 1 inch Dimensions: 1/8" x 1.00". Welded closed. Great for attaching up to 1" wide flat shock straps. Material: 316 stainless steel. Finish: Chemically cleaned and polished. WLL: 100lb. 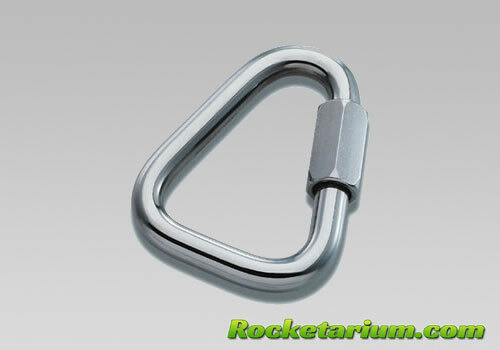 The Delta Quick link is used to connect flat shock straps to one end This link is rated for up to 175 lb. Size is 1 1/8 x 1 3/8". Weight - 8g. Material: 316 stainless steel. The Delta Quick link is used to connect flat shock straps to one end This link is rated for up to 400 lb. Size is 1 1/8 x 1 9/16". Weight - 26g. Material: 316 stainless steel.